Start adding snacks to your list, or click continue to have our Chef choose for you. Update your list anytime in My Account. Enjoy this spicy snack inspired by our love for all things Mexico. 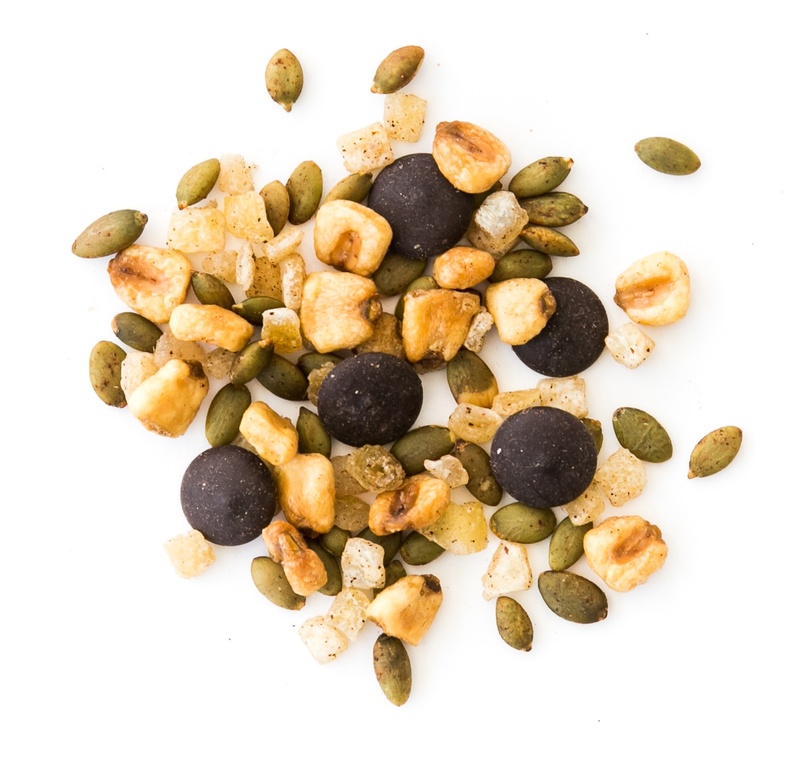 The gentle heat from the chilli pumpkin and roasted corn nuts pair with the smoothness from the 70%+ dark chocolate buttons. Candied citrus heightens the experience with a fresh burst that keeps your taste buds dancing through the day. Pumpkin seeds contain L-tryptophan which supports a good night's sleep, and dark chocolate is linked to 40+ health benefits!